It’s raining outside of my cozy home in the East Bay hills. It is quiet here, except for the tap tap on the roof and sometimes the howl of a gusting wind. Every few hours, there is the toot toot whistle of the Amtrak train. A fire crackles and sometimes roars in the fireplace as I settle in on the couch. In an hour or so, colleagues will arrive to spend the afternoon reading poetry and selecting the performers for the next Quiet Lightning. I am drinking a cup of Peet’s coffee (heavy cream, too) and eating a bit of chocolate. I have spent the morning on Facebook, looking at pictures of old friends and telling jokes. I watched an amazing video from NASA. I listened to a favorite song by Chuck Prophet. Uh oh. I’m in big trouble, I start to think. Can I write out of contentment? I have a column to compose. Who wants to listen to a serene punk? Isn’t creation the child of pain and suffering? Have I eaten too much of the lotus, only to sit now like a happy little fungi, soaking in the rain and being one with nature and the earth? Will the sharp parts of my writing gears start to slip and my words degenerate into new age goo? Ick. What should we do when the edge isn’t edgy, the parachute has opened, the roller coaster has coasted to a gentle stop and the pit in our stomach has been filled with the calming waters of a spring rain? Don’t worry. Things’ll get worse. Just wait. In the meantime, you might try reading, The Practice of Poetry: Writing Exercises from Poets Who Teach, edited by Robin Behn and Chase Twitchell. This is one of my favorite writing books. It includes nearly 100 exercises by a generous variety of poet teachers. The exercises are organized around themes such as “Ladders To The Dark”, “Truth In Strangeness” and “Major and Minor Surgery”. 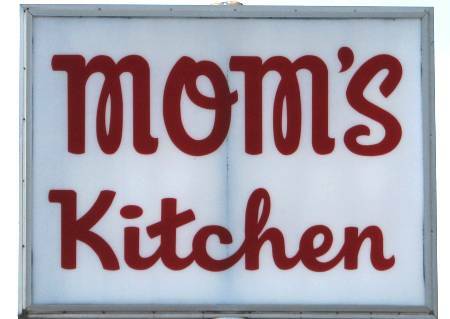 Write a poem about your mother’s kitchen. (It helps if you actually draw the kitchen first, with crayons!) Put the oven in it, and also something green, and something dead. You are not in this poem but some female relation—aunt, sister, close friend—must walk into the kitchen during the course of the poem. And, of course, you can probably think of some variations: your father or mother’s workplace, your brother’s clubhouse, your uncle’s barbershop, etc. Remember to enjoy the good times.